A former “Raelette” with the legendary Ray Charles http://en.wikipedia.org/wiki/The_Raelettes, Tracey Whitney is known for her trademark “silky jazz-soul fusion.” The recent Albuquerque transplant’s musical history stretches all the way back to age 11 where, at the famed Coconut Grove in Los Angeles, Tracey made her debut as part of The Whitney Family, a singing ensemble that included her mother and seven brothers and sisters, http://www.thewhitneyfamilyband.com. Over the next 15 years, The Whitney Family toured the world and recorded two albums (“Airways” included “Let Me Be Your Woman,” a Billboard magazine Top Singles Pick). Leaving the family band at 22, Tracey launched a solo that included her stint as a Raelette, followed by 5 years performing her solo act throughout Japan, and touring or performing in concert with Japanese superstars Sing Like Talking, Namie Amuro and Tokiko Kato. The singer/songwriter has released two solo albums to critical acclaim on her BabyDoll Entertainment & Records label, 2007’s Love… a Fable in 9 Acts, and 2012’s I Am Singing… Songs I Love. While her extraordinary career has played a key role in shaping her smooth sound, her jazz/pop instincts, soulful sensibility, and irresistibly natural ease behind the microphone are all-essential to the artist she is today. No matter if she’s delivering an original song or a cover, Tracey infuses her music with a slick sophistication that’s uncommon in today’s musical landscape. 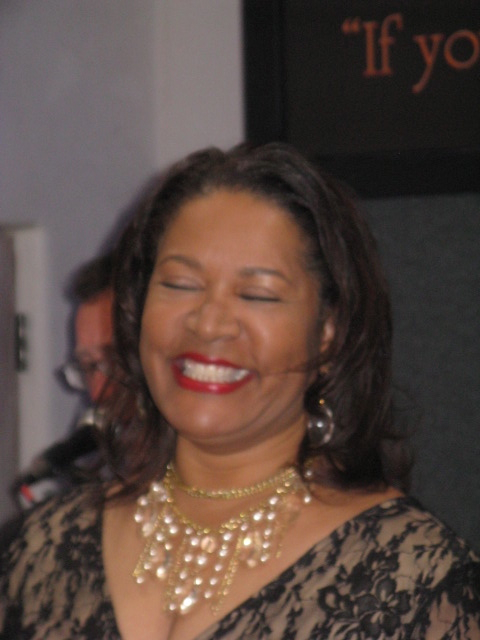 A contributing writer to Smooth Jazz magazine http://smoothjazzmag.com/, she plans to open her own club, BabyDoll’s House of Jazz & Blues, in Albuquerque, NM in 2015.